Still widely regarded as one of Wilfred Josephs’ most important works, his Requiem Op.39 (1963), was written in memory of the Jews who died during the Holocaust. With this score he achieved international success when, in December 1963, it won the first International Composition Competition of La Scala and the City of Milan. In January 1967 Max Rudolf introduced the piece to the United States in concerts in Cincinnati and New York, and in 1972 the Chicago Symphony Orchestra programmed it three times under Carlo Maria Giulini who referred to it as ‘the most important work by a living composer’. Josephs’ Variations on a Theme of Beethoven is one of a number of pieces, such as the 1965 'Canzonas on a Theme of Rameau', which derive their inspiration from music of the past and constitute a tribute to an earlier creative artist. The dedication describes the Variations as ‘humbly offered’ in honour of the 200th anniversary of Beethoven’s birth. It was completed in March 1969 and premiered at Carnegie Hall, New York, by the London Symphony Orchestra under André Previn on 23 January 1970, the bicentenary year. 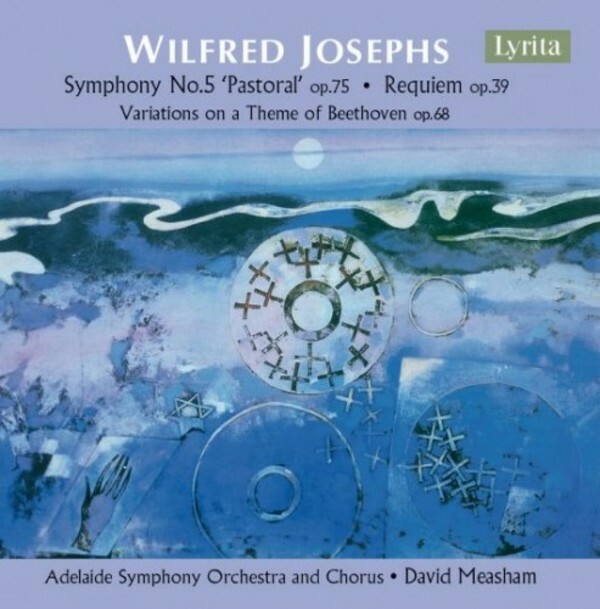 Josephs’ Fifth Symphony ‘the Pastoral’, op.75, was begun on 11 August 1970 and the orchestration completed on 27 February 1971. Like Beethoven before him, Wilfred Josephs uses his ‘Pastoral Symphony’ as a means of expressing his feelings as a city-dweller about visiting the countryside. In fact most of the score was written in his Hampstead home rather than the cottage his family rented in the country, and some of the composer’s desire to get away from his urban surroundings to commune with nature is reflected in the piece. Recorded in the presence of the composer. Previously released on LP by Unicorn. First release on CD.